Honeycrisp has been a sweet little item for the University of Minnesota. "It's generated over $6 million for the University," according to Jay Schrankler, director of the University of Minnesota's office for technology commercialization. The U splits royalty income three ways. One third goes to the inventors, one third goes to the college and department where the faculty work and one third goes into a fund for other research. Schrankler guesses the $1.30 royalty the U collects on every Honeycrisp tree sold to orchard owners will bring in another $2 million or so in this country before the patent expires next year. Then, there are the overseas patents. They remain intact for a few more years and Schrankler predicts could bring in another $8 million. "Switzerland would expire in 2012 with the others going out to 2019 and 2031. We have a long run left on the international front," Schrankler says. However, he acknowledges Honeycrisp's revenue will eventually decline. The loss might be offset by new varieties. Some have already been introduced, and others are in the wings. But plant breeding magic doesn't happen overnight. It takes decades to create a new apple, Honeycrisp co-creator and University plant breeder David Bedford says. "Honeycrisp took 30 years, actually Zestar is one of our faster ones, that took 26 years," he says. After that, Bedford says, it can take another decade for a new apple variety to gain grower and consumer acceptance. Consumers bit into the first commercially grown Honeycrisp apple in the mid l990's more than a decade ago. Even so the wildly popular apple still commands something less than two percent of the U.S. apple market. Honeycrisp and other new varieties are aiding a recovery of U.S. apple consumption. "Oh, it's reenergized the apple eating public to fresh apples," according to John Jacobson. Jacobson and his family have a couple thousand Honeycrisp trees on their 300 acre Pine Tree Apple Orchard in suburban St. Paul. Apple eating declined years ago during the Red Delicious era. Plant breeders created variants of the popular Delicious apple variety including Red Delicious. 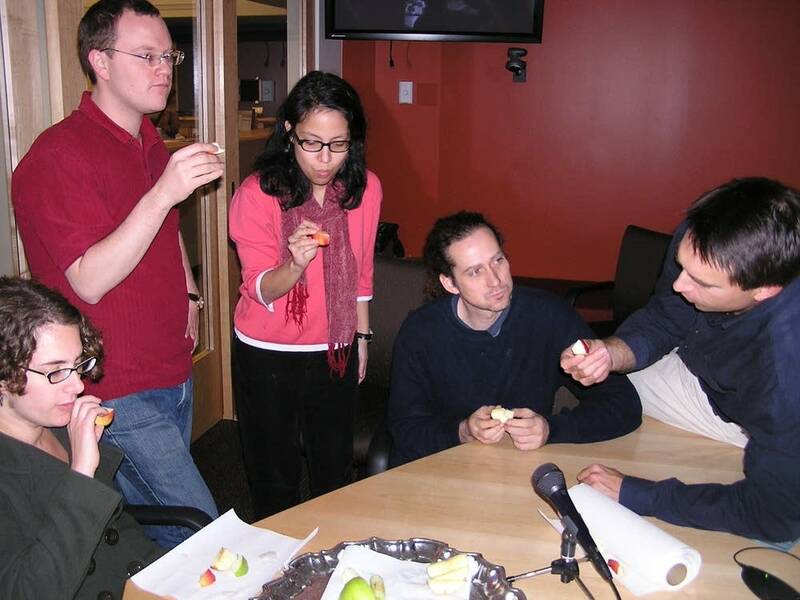 The red skin color attracted consumers, but they bit into apples that didn't taste good. 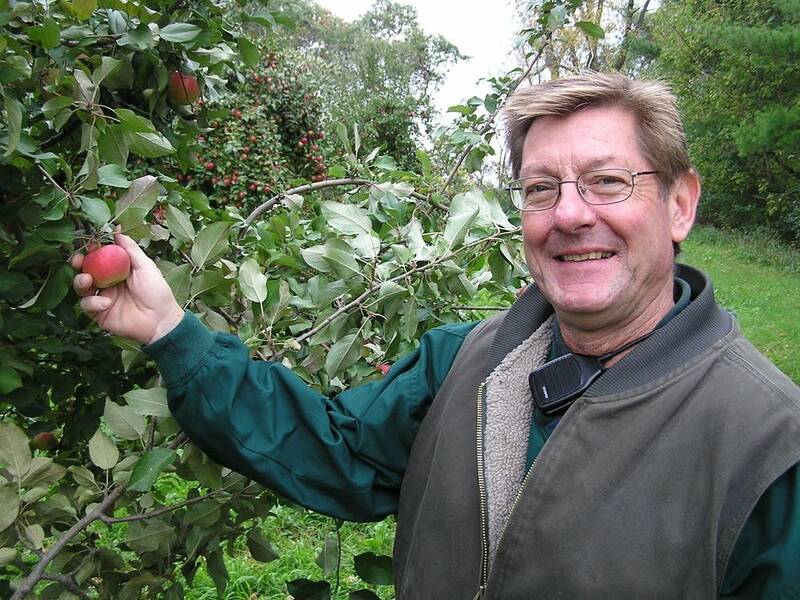 John Jacobson worries the end of the Honeycrisp plant patent next year could compromise a variety that has rescued a generation of Minnesota growers. Honeycrisp apples sell for $60 dollars a bushel, double the price of other Minnesota grown apples. "I'm just worried about finding the Honeycrisp diluted down to four or five or half a dozen different strains that don't do as well," Jacobson says. What about the name, Honeycrisp? Is it protected? University of Minnesota officials say they aren't sure. The name is trademarked by the U of M. One view is that means growers tinkering with variations will have to pay a trademark license fee or find another name. Another view is the name is not protected and can be used by anyone, an opinion which may fuel a future legal spat. In the meantime, apple advocates are counting on new U of M varieties including, Zestar, which ripens earlier to extend the apple eating season and expand consumer interest in the fruit. Minnesota is down the list a ways among the 46 states in this country that produce apples. The leader is the state of Washington which in a given year raises more than half the country's apples. United States apple production is down the list a ways compared to other countries. 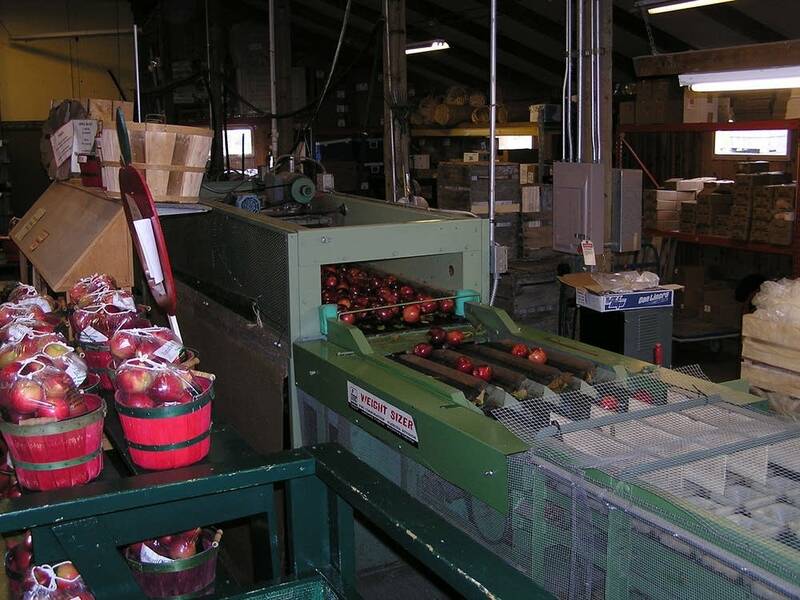 The big apple producer accounting for over half the world's apples is China, and production there has an impact on Minnesota and U.S. apple production. American growers would like to export more fresh apples, but China's explosion in apple production is cutting into U.S. sales overseas, especially in southeast Asia. Then there's the bid by China to sell apples in this country. Jim Cranney, a spokesman for U.S. Apple, this country's apple trade group, says that probably won't happen soon. "China has asked for permission to enter the U.S. market but they first have to undergo a certification process," he says. The Honeycrisp apple, developed by University of Minnesota researchers and introduced to the public in 1991, has been named one of "25 Innovations That Changed the World." The first apple trees were planted on the shore of Pine Tree Lake in 1904. That orchard would one day be Pine Tree Orchard for Art Jacobson, a city boy from St. Paul, who dreamed of growing apples and living on the land. The growers association represents most of the state's orchard owners. Apples will last the longest in storage, and retain best quality, when kept close to 32ºF. The Licensing Center (formerly Patents and Technology Marketing) oversees all patenting and licensing of intellectual property.